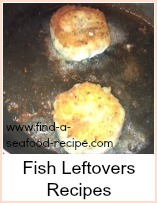 If you're looking for a seafood recipe, then begin your search here. There is a Googlebox at the top of every page that you can use to search this site or the www for the recipe you want - or use the sitemap which I try very hard to keep up to date. 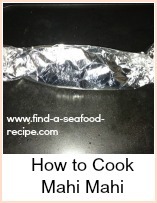 The Seafood Recipe Blog will give you the last pages to be built or updated. 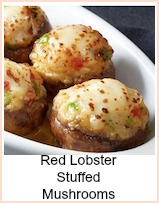 If the recipe you're looking for isn't listed, then please send me an email and I will research it for you. 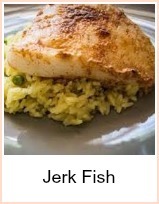 We all know that fish is good for us. 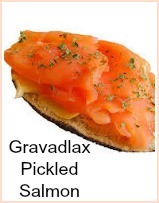 The medics tell us we should eat it at least twice a week. 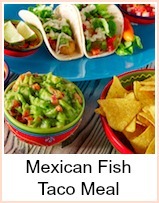 But it's kind of hard to think beyond the very basic, grilled, baked, poached or barbecued. 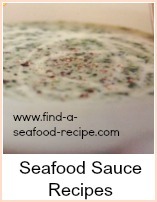 What type of sauces go well with seafood? I have some ideas that might help. Let me tell you though, that you can use whatever sauce you would have used with a meat dish with the addition of a few more. For instance, I quite often make a seafood lasagne - and I use exactly the same basic sauce as if I was using minced (ground) beef. That means that I either start off with fresh tomatoes, tinned tomatoes or a jar of sauce if I'm pushed for time but add seafood instead of meat. The same goes for vegetables - I would use potatoes, carrots, green beans - whatever I would use if meat were the main course. I will give you some ideas of complete meals - from the sauce to the vegetables that I would use. 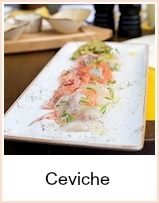 I keep graphics to a minimum on the recipe pages - you might want to print them off and it's a waste of ink to be printing a picture of a dish that you don't need. I would love to hear from you as to what you think about that - good idea or not? 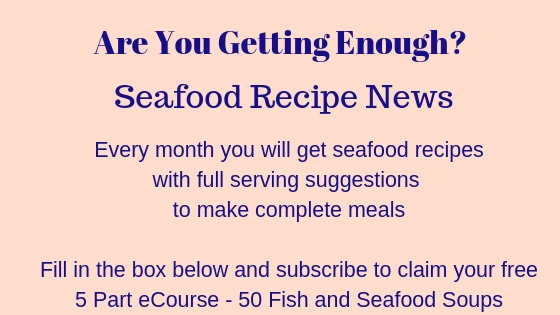 Please subscribe to Seafood Recipe News - it goes out once a month and will give you seven recipes in one category or theme. 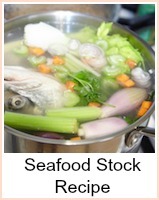 Check out the back issues and don't forget to apply for the free eCourse, 50 Fish and Seafood Soup Recipes. 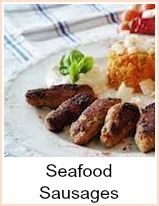 Plus I will let you know of any topical issues surrounding the supply of fish and it's health benefits. There are lots of ways to get and keep in touch, so don't be a stranger. 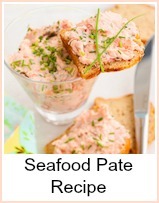 Follow the links below to find your perfect seafood recipe. 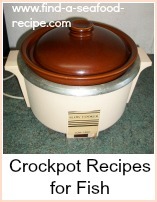 Delicious crockpot recipes - Trout in Wine, Poached Salmon, Jambalaya, Indian Fish Byriani and lots more succulent tasty meals. 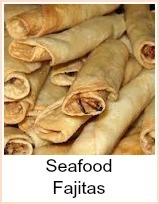 A selection of fried fish recipes. 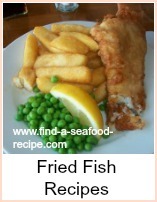 The perfect fish and chips, Japanese Tempura, batter recipes, including beer batter, goujons, crab cakes, seafood fondue and lots more. 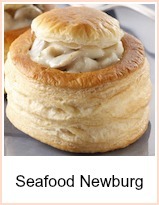 A collection of baked seafood recipes from around the world. 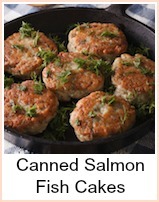 Simple to prepare and easy to cook. 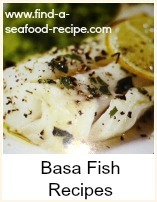 A delicious, tasty, quick and economical alternative to fresh fish. 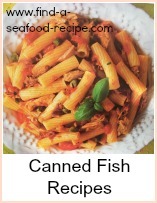 Versatile recipes for canned tuna, salmon, crab, shrimp, mackerel and pilchards. From main courses to snacks. 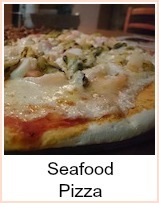 Pizzas, pastas, Mexican Quesidallas and pastries. 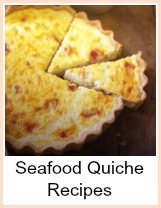 Quick, simple, tasty and versatile. 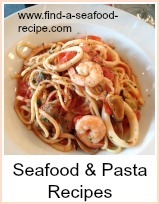 Seafood and Pasta. 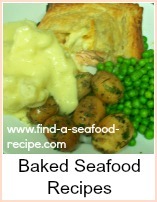 Seafood lasagne, pasta and seafood salads, pasta bakes, fettucini, spaghetti - some basic sauces and some classic recipes. 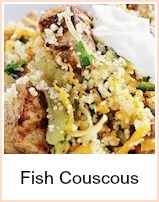 Seafood recipes from around the World. 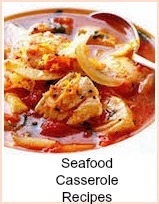 Spicy Indian Fish curry, prawn biryani, Chinese dishes, paella, jambalaya. 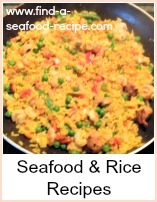 Seafood and rice - a great combination. A great selection of pasta sauces, fruit sauces, mayonnaise, tartare, bernaise, hollandaise, dipping sauces, crab cake sauce, cold sauces, warm sauces, stuffings. 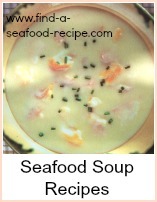 The index for a collection of seafood soup recipes. Italian, french, bisques, chowders, cullen skink, boulliabaise - a range of hearty warming winter soups and cool summer soups. 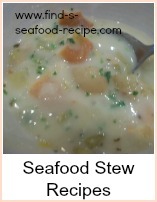 The seafood stew recipe index. From gumbo recipes to winter warming stews. Classical to family, dinner parties to suppers. 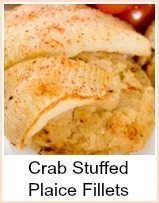 Plaice rolls with crab mousse stuffing, wine sauce - mmm... You could use any flat fish here. Instructions on cooking and preparing fresh crab - it's the only way to ensure your crab is fresh - buy it live... up to you though - there are instructions to dress it anyway if you chicken out and buy a cooked one! 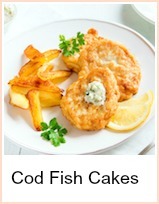 Tasty fish cakes are a good way of getting children to eat fish - real comfort food. 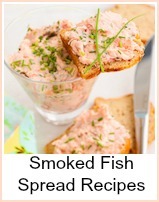 Also you can use leftovers or canned fish. Quick, tasty one pot cooking at its best. 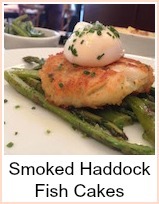 One of my favourites - a really tasty smoked haddock fish cake. 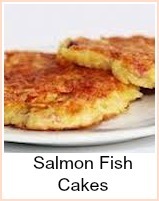 You could substitute any fish you prefer or a mixture or even canned fish. 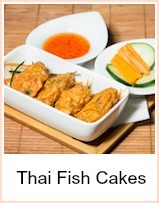 Spicy little thai fish cakes made from humble old cod - you could substitute crab meat if you wanted to make thai crab cakes. 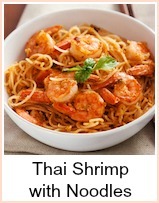 A lovely shrimp (prawn) and soft noodle dish - the beginnings of a thai banquet. 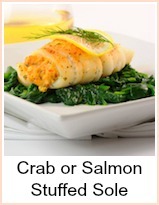 Two delicious sole recipes - one with a crab stuffing and the other with a salmon mousse both poached in wine - absolutely delicious. 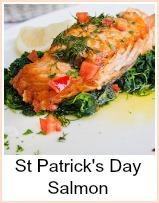 Why do we eat fish on Friday? The tradition behind it all.